Our cardboard cutout of Bloody Mary. 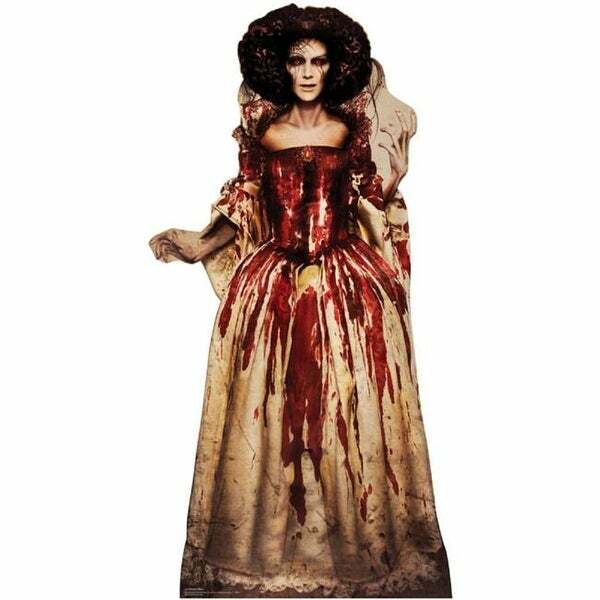 Dressed in a beautiful off white gown soaked in blood, this woman is sure to scare anyone. Perfect for Halloween frights. High Quality movie theater quality movie cutout. Easy Assembly - Comes with stand-up easel. Realistic Appearance, Great For Parties or Collectors.